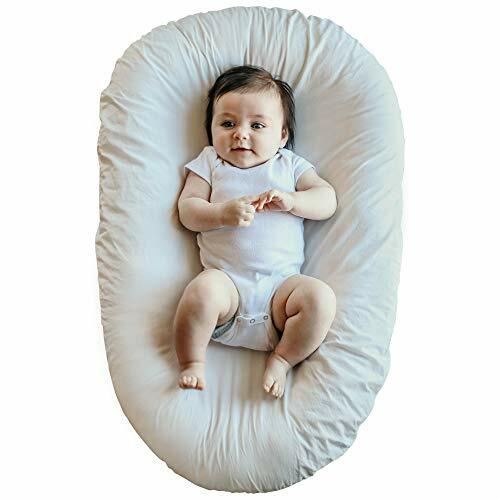 JoJo Infant and Toddler Lounger — Nicole & Co.
Made for baby, the JoJo comforts and relaxes baby by providing a familiar and tranquil environment for baby to rest, lounge, play, cuddle, practice tummy time and have a diaper change. Its barely padded center makes it safe and incredibly comfortable, no matter the surface underneath. Its raised and firmly padded perimeter keeps baby in place. The egg shape allows the JoJo to be used for babies as small as newborns or as big as toddlers. Made to be used as long as baby needs. Includes cotton drawstring carry case! BUY ON AMAZON, IF YOU’D RATHER! The JoJo was created by a tired momma (me, Nicole!) who dreamt of a better night's sleep. That dream has come to life and now the JoJo is helping other moms around the world realize that dream for themselves. The JoJo comforts and relaxes baby by providing a familiar and tranquil environment to rest and sleep in a safe and comforting place. Meanwhile, you rest as well, making your family a well rested and happy environment to raise happy humans. comforts and relaxes baby by providing a familiar and tranquil environment for baby to sleep or rest. makes it incredibly safe but also incredibly comfortable, no matter the surface underneath. prevents rolling for infants and keeps baby in place. allows the JoJo to be used for babies as small as newborns or as big as toddlers. Made to be used as long as baby needs.